“Gianmaria Buccellati was passionate about his work beloved for his Italian proclivity to translate the culture into beautiful craftwork. 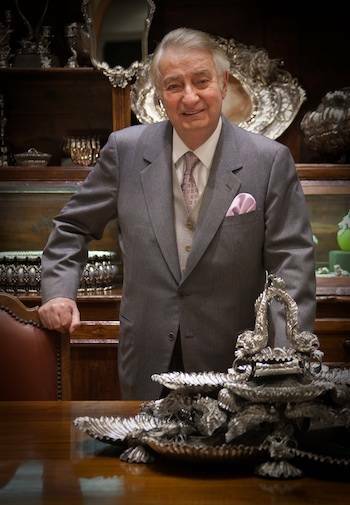 He had the courage to bring our jewels to the global market well before the era of Italian exportation, encouraging us to proudly take up this challenge and continue the work,” said Alberto Milani, CEO of Buccellati INC.and recently elected president of the Italy-America Chamber of Commerce. His first tools were his own hands. He got his start as an apprentice, having understood early on the importance of learning his trade directly from the goldsmiths in his workshop. When he was 19, his father entrusted him to manage the store in Milan, where he would meet the most important Milanese business and finance leaders in the world. When Mario died in 1965, Gianmaria successfully took up his mantle with a combination of experience and creativity, and his international vision would transform Buccellati into a leader himself. The Buccellati family has a long, intriguing history. In 1750, Contardo Buccellati opened a store on Milan’s Via degli Orafi. Buccellati remembered his household once being full of Contardo’s silverware. “We have almost nothing left now,” he said, but he could distinctly recall the engraving of a bull on each object. The family’s modern international jewelry- making business really began in 1919, when Gianmaria’s father took over his cousins’ business and opened a new shop on Largo Santa Margherita, near the famous Teatro della Scala. The location proved strategic. Musicians, artists and other men of culture hung out in the area, including Verdi, Mascagni and Boito, and Gabriele d’Annunzio and Eleonora Duse once placed an order for a famous “sautoir” necklace with rubies and golden beryl. The jeweler’s fame spread far and wide. While the heart of their production remained in Northern Italy, their network of studios grew. 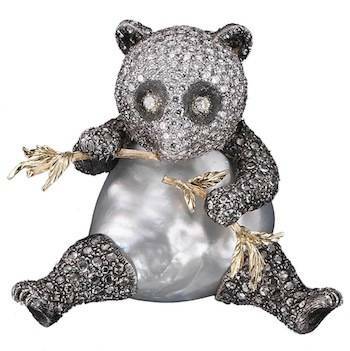 Gradually, they began to open stores outside Milan, in Cala di Volpe, Paris, New York, London, Aspen and Beverly Hills. It was just the beginning of their burgeoning presence across the world. Gianmaria’s gold and silver objects are known for their incisions, and he passed on his technique and artistic DNA to his son Andrea. Skilled craftsmen chip away at subtle layers of gold, embellishing them by hand with tools that date back to the Renaissance. The Buccellatis have kept the goldsmith tradition alive for decades by sheer creative ingenuity, the use of quality materials and discriminating tastes. The family story spans the entire history of the last century. During the Second World War, materials for jewelers were nowhere to be found. There was no gold, everything had been requisitioned by the State, and silver was scarce. Workers were sent to the front. Gianmaria remembered how they were forced to use copper. It was a bleak time, and people traded antiques to support their families. But in 1947 the company got a fresh start. All of Mario’s children began working for the company with the exception of a son who taught at the University. The eldest moved to New York, the second child to Florence and the third to Rome. Gianmaria stayed with his father in Milan. “I was the artistic-creative one,” Gianmaria recalled in an interview. The brand quickly conquered the world. 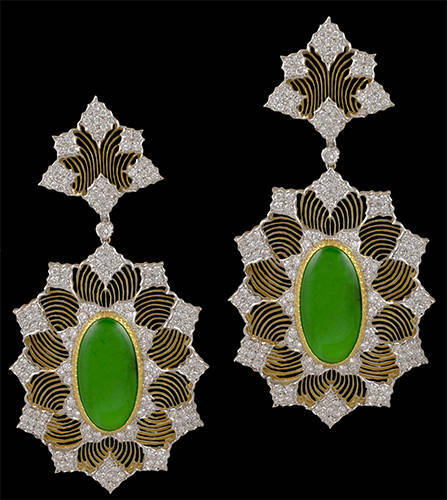 When he opened his large-scale boutique in Paris’s Place Vendome in 1979, the name Buccellati became synonymous with haute joaillerie. Prestigious museums, such as the Smithsonian Institution in Washington D.C., the Kremlin Museum in Moscow, and Florence’s Palazzo Pitti, held major exhibitions celebrating the art form. And today? As Gianmaria would say in interviews, the family is the business. His wife Rosi works in the financial sector. His sons Andrea, Maria Cristina and Gino handle the creative, management and communications departments, respectively. The fourth generation is fully on board. The company’s methods remain artisanal, and the designs continue to be managed by the family. Not only is a sense of entrepreneurship in their DNA. The family also has an artistic sense coursing through its veins, from Mario to Gianmaria to Andrea. Gianmaria lived for his work, especially toiling with pencil in hand. “There’s nothing more soothing to me than my work,” he once said. 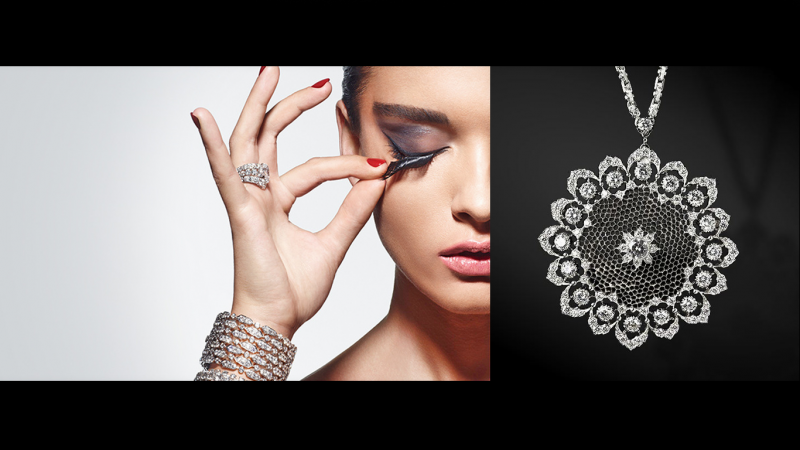 In 2011 the family heirs united Gianmaria’s jewelry line and his father Mario’s to form a single brand: Buccellati. In May 2013, the Italian private equity firm Clessidra entered the equity share of Buccellati Holding Italia, SpA. Their intention is to continue developing the brand on the world market without relinquishing their identity for making local luxury goods. In 2008, the Buccellati Foundation was founded.